David Spratt, the co-author of Climate Code Red, the book that created hundreds of climate activists, is speaking at Carlton Library on Tuesday 15 March, from 7pm. 667 Rathdowne Street, Carlton North. Free entry. 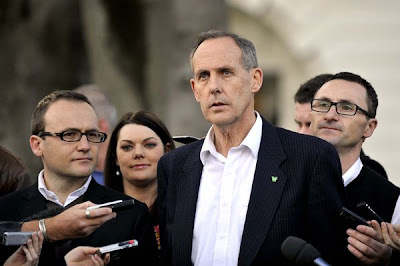 100% renewable energy for Australia within a decade is possible and affordable. Come along to the energy event of the year to find out how. This free public lecture will be the launch of the Zero Carbon Australia Stationary Energy Plan. 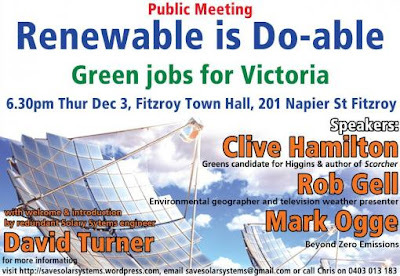 Hosted by the University of Melbourne Energy Institute. The Walk Against Warming is Australia’s biggest day of community action on climate change. Similar Walks will be happening across the country, and across the globe as communities everywhere come together to tell their leaders they want action for a safe climate. 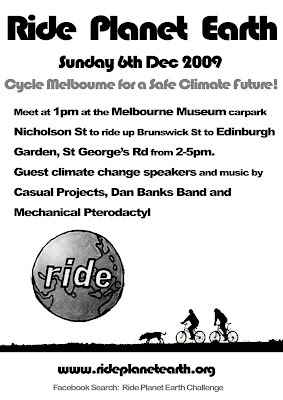 If you’ve ever replaced an old light globe with an energy efficient one, taken public transport instead of driving, switched to Green Power, or worried about the kind of world you’re going to leave to your kids, then the 2009 Walk Against Warming is for you!